Ukrainian opposition activists clash with riot police on July 4, 2012 during a protest in Kiev against a new language law. Several people were left covered in blood and broken glass littered the street. The police used tear gas in an apparent bid to bring the situation under control. Opposition protesters spray tear gas against riot police in front of the Ukrainian House in central Kiev on July 4, 2012. 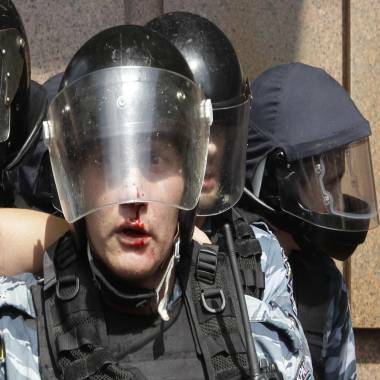 Blood is seen on a face of a riot policeman during a clash with opposition protesters in central Kiev on July 4, 2012. 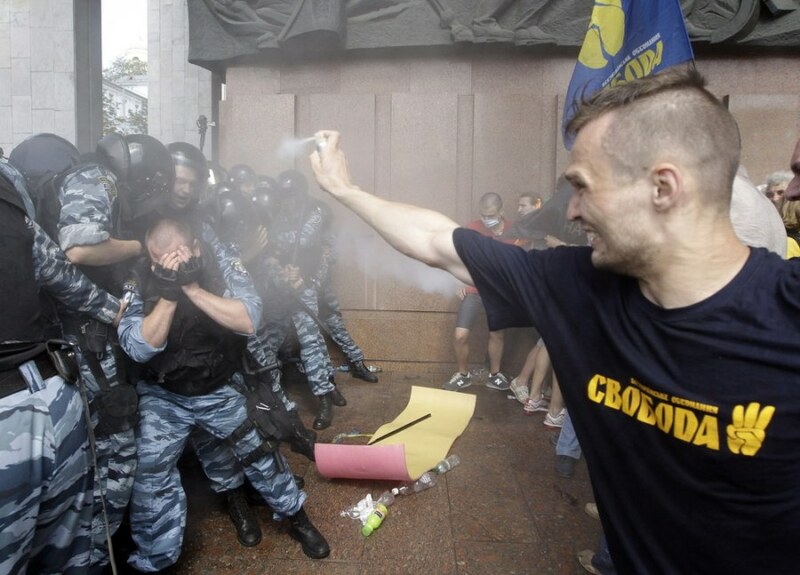 Reuters reports — Police fired teargas and used batons to disperse hundreds of protesters in Kiev on Wednesday and Ukraine's parliament speaker offered to quit after the passing of a law to boost the status of the Russian language in the former Soviet republic. Protesters, led by opposition members of parliament defending the role of Ukrainian as the only state language, had massed in front of a building where President Viktor Yanukovich was due to hold a press briefing. 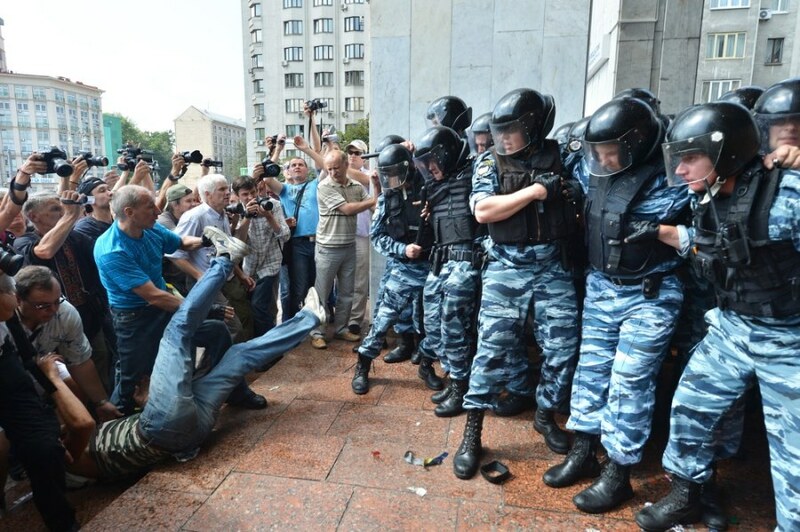 "There are millions of us and they cannot pretend that nothing has happened," said Vitali Klitschko, the world heavyweight boxing champion who has founded his own opposition party - Udar (Blow), and took part in Wednesday's protest. 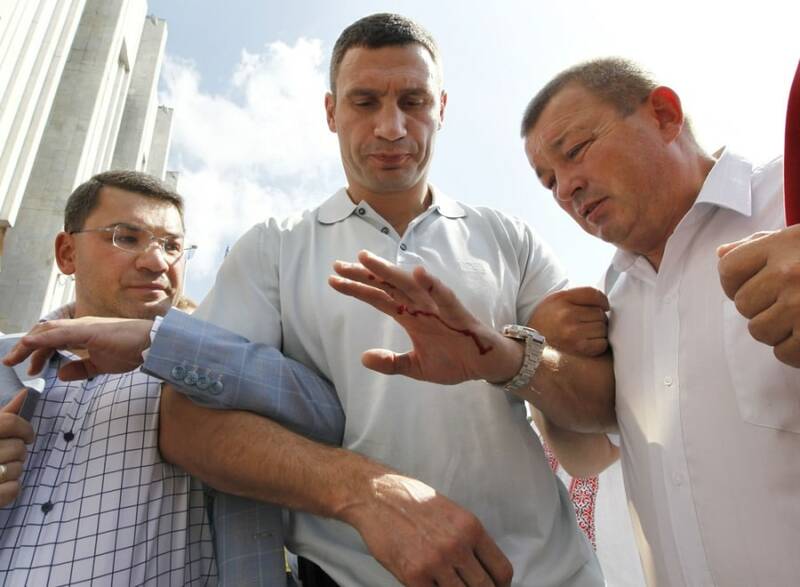 Vitali Klitschko, center, heavyweight boxing champion and leader of Ukrainian political party UDAR, looks at blood on his hand as he walks away after police fired teargas in Kiev on July 4, 2012. 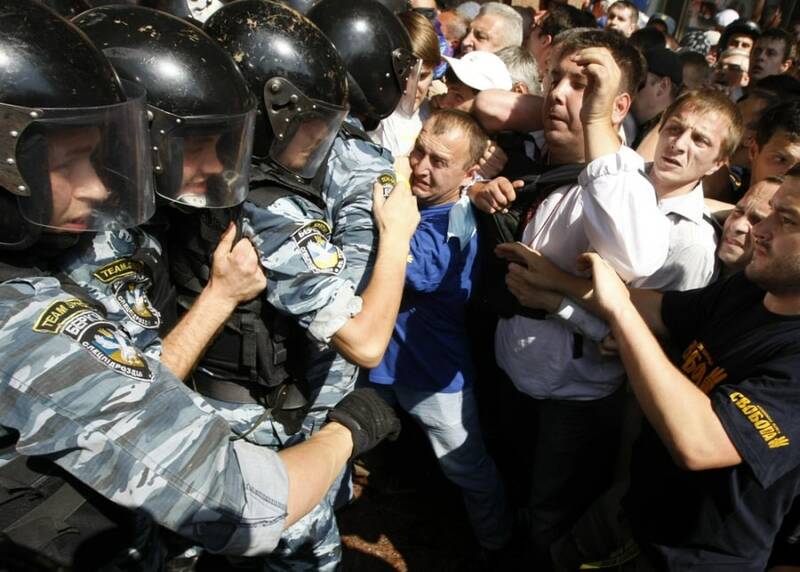 Riot police block opposition activists during a rally to protest against a Russian language bill in Kiev on July 4, 2012. 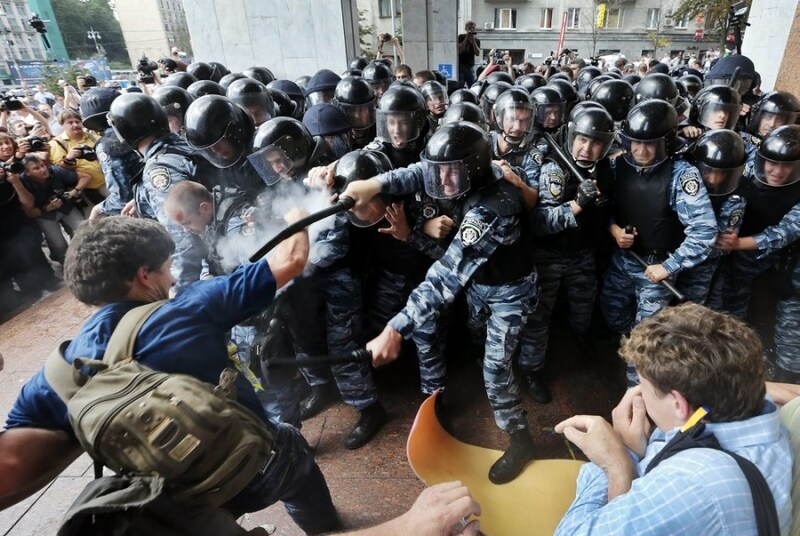 Supporters of Ukrainian opposition parties clash with riot police in downtown Kiev on July 4, 2012.